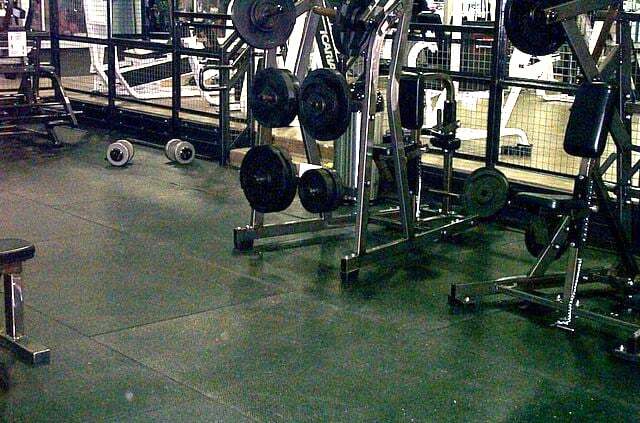 The last word in Fitness Floor protection. BullyMatts ...the only mat that won't be pushed around! Protect both your floors and equipment to the max with BullyMATTS. Whether you’re a gym owner or a factory foreman, you will quickly see that BullyMATTS will not be pushed around. They come rugged and ready to work and because of their weight, require no adhesive for installation. Several sizes to choose from. Waterjet trimming available for perfect fit. BullyMATTS are the perfect fit for your facility. Due to recycled content there will be differences, actual color or shade may vary from displays. BullyMatts contain recycled product and may show some surface imperfections.